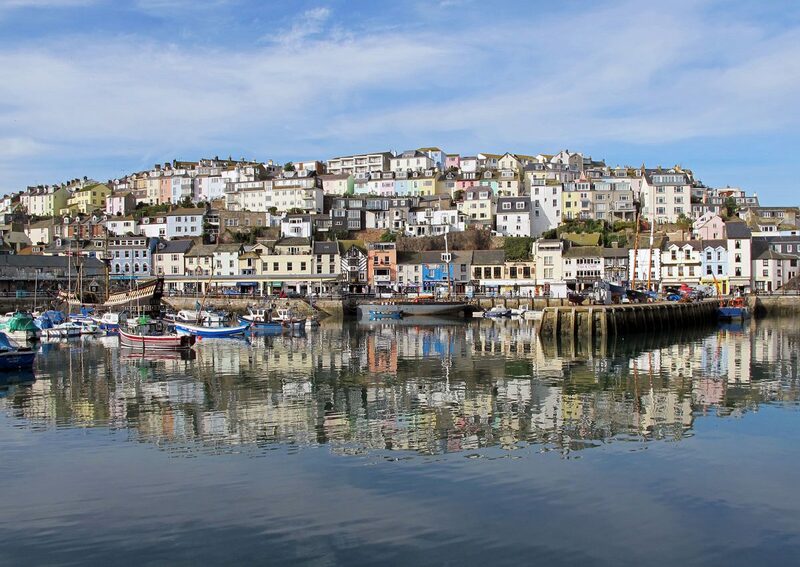 Torbay is the collective name given to the three individual towns that sit around a sheltered bay of the same name in South Devon. They are Torquay, Paignton, and Brixham, and between them they have a population of around 140,000 which swells in the summer months when holidaymakers from other parts of the country come here to enjoy its mild climate, beaches, and accessibility to South Devon’s splendid countryside and coastline. The reason for its popularity harks back to the 1850s when Isambard Kingdom Brunel’s railway to the West Country was extended into Torbay. Not only did it bring an influx of holidaymakers into the area, but also people who could afford to live here all year round., and it wasn’t long before it gained the nickname of the ‘English Riviera’. Many of the wealthier newcomers chose to build their homes in Torquay, which earned it the title of Queen of the Riviera. Paignton, on the other hand attracted families, thanks to its beaches and safe bathing, and Brixham, which is one of England’s largest fishing ports, has a different feel to it again. I used to come here on holiday many moons ago and often thought how nice it would be to live somewhere like this. In 1997 we managed to make it happen, and even though times have changed, and the Bay may not have quite the same appeal as it once did, I can honestly say that I never once regretted it. Even Isambard Kingdom Brunel himself designed a home here, but never lived to see it finished – and if it was good enough for the great man to want to live here, then it’s definitely good enough for me!